Amazingly enough, he manages to sneak into the studio on occasion to produce his own music and remix the likes of Pet Shop Boys, Depeche Mode, Foals and Rufus Wainwright. And of course there is Supermayer but more on that later. It's safe to say he loves being challenged and regardless of the pressure is never putting less than 100% of his heart and soul into everything he does. By this time it's the early '90's and dance music couldn't be any bigger. Michael joins up with a local DJ adversary, Tobias Thomas and two other friends to create the DJ team, Friends Xperiment Sound System. The team dissolved due to Thomas moving to Cologne and the others to Berlin leaving young Mayer to decide between province or capital. Cologne wins and withTobias Thomas reinvent Friends Xperiment but commit to a straight 4/4 - house and techno mandate. It runs like wildfire, playing all over town which included a residency at the legendary IZ club - Cologne's community hub of that time. By 1993, Cologne had become Mayer's second home. A huge reason for this was the record store Delirium. A cocky Mayer was quick to tell the owners Wolfgang and Reinhard Voigt, J?rgen Paape, and J?rg Burger how dismal their record selection was. His egg'ing on ended up earning him a job and respect from his peers. Within that year he would become a co-owner and buyer for the shop. Over the next 5 years, Michael continued to thrive from his DJing, performing now in different cities - motivated by the birth of minimal techno and the tidal wave of innovative music that was coming out of Cologne at that time. Much of which came from his Delirium partners. He would also start producing his own music? 1998 would be a pivotal year for Mayer and his colleagues - most significantly the birth of Kompakt but many concepts and ideas are professionally realized. Mayer together with Reinhard Voigt and Tobias Thomas united in the studio to record the full length Geben und Nehmen (Ladomat) as Forever Sweet. By this time Friends Xperiment had evolved to a series of parties called Lichtblick (together with Thomas and Riley Reinhold - now of Traum/Trapez fame). This would come to an end due to the inception of the now legendary weekly party Total Confusion at Studio 672. As a reaction to the state of the business and label politics the owners of Delirium felt the need to create their own arm of support for the music community. Kompakt was born - inspired by Andy Warhol's Factory, Kompakt was the realization of creating a complete outlet for creative freedom in the music business and today boasts a label, record store, distributor, recording studios and booking agency. Michael's first mix CD Kompakt K?ln Presents Michael Mayer (Neuton) would herald this new age for Cologne electronic music. With Total Confusion, Michael Mayer and Tobias Thomas established arguably the longest running club night in Cologne. Bringing with it is a unique formula for club culture that remains unrivaled and uncompromised. From the warm-up to the ecstatic peak, Total Confusion's focus is on the dramaturgy, and not only includes techno, house and ambient music, but also aspects of pop and even R&B. "The most wonderful challenge is to combine great party music as undogmatically as possible, and to find an aesthetic link between different music styles," states Mayer. Total Confusion was the stepping stone for Mayer's international DJ career. 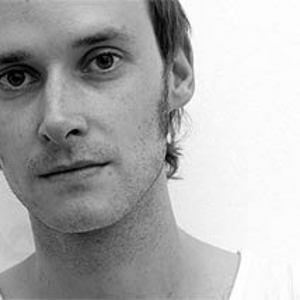 In 1998, Mayer became resident DJ at one of Barcelona's most beautiful clubs, Nitsa, as well as at Geneva's Weetamix. From there more Mayer/Kompakt residencies shortly followed which he holds to this day, amongst them Robert Johnson in Offenbach, Fabric in London and Berlin's Berghain/Panorama Bar. The result is a network of locations and clubs that Mayer appreciates due to the fact "you can influence the club's style ? and basically, it's me attempting to export the Total Confusion party model into another club." Due to the numerous worldwide DJ gigs and responsibilities at Kompakt, Michael Mayer only finds time for his own productions at irregular intervals. Following a slew of 12'' releases, in 2005 he took the time off to produce his debut album Touch. In the age of post minimal, Touch combines different aspects of house, techno, and even cosmic disco which Mayer relates to his ties with early italo-disco. Touch was an accomplishment of Mayer uniting a lifetime of influences. He was especially drawn to his childhood heroes Jimmy Jam & Terry Lewis who were responsible for the sound of Alexander O'Neal and the S.O.S. Band, The Steve Miller Band, and Alan Parsons Project. But Mayer's intention was never to load his own music with references, as is so commonly practiced in electronic music. Regardless if you are influenced by other people's music when creating your own sound, Michael Mayer strongly feels that "DJ music in particular is all about updating tradition ? to look ahead and in the past, both at the same time". He takes his remixes just as seriously and regardless if it's Miss Kittin or Depeche Mode, he carries through with endearing qualities that resonate like a signature regardless of the style of music he brings to the remix. Mayer is renown for converting the mood and meaning of the original to its opposite. A great example would be his now classic cover of Sade's "Love Is Stronger Than Pride" - a friendly cocktail ballad contorted into a hard and sinister "schaffel" techno tune. ?For me it's the perfect balance. If I wasn't in a club every weekend and listening to all the records we distribute through the week then I'm sure I'd have a problem and wonder why I'm doing all of this. And it's the same the other way around: as a DJ travelling around I would be missing my anchor. I need a straight job, an office job to keep me right. To ensure that I don't lose my head. I like doing normal things during the week and then being wild at weekends. Yin and yang.? ?The only thing I pre-determine is that I play 4/4. The rest happens by accident. I love the deeper side of music, obviously, but I like it raw and kicking. There has to be some pop too and my sets are very pop influenced: I don't mix tools for hours, there has to be waves like a pop song. I love records that are structured, that have a beginning/middle/end. It's the same for any clubnight, there has to be that progression. I love to warm up and take my time to get in to it, to take people with me. At the end I love to play songs and some things you can whistle on the way home. ?